A completely revised, redesigned and updated edition of the number one guide to home wiring and lighting, now in handy paperback format. Contains comprehensive and up-to-date information on the new electrical regulations. 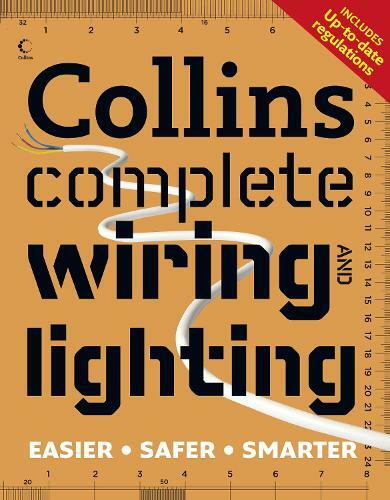 Whether you're changing a fuse, inserting a light fitting or rewiring an entire room, Collins Wiring and Lighting contains all the information you need to complete the job simply and safely. Now in paperback, this new edition includes information on all the new products, techniques and electrical regulations, allowing you to make home improvements cheaply and easily. With over 250 colour illustrations and photographs and clear, step-by-step instructions, this book will help you turn your good intentions into a job well done!